“The attack by an armed group on the aid agency CARE International… is the deliberate targeting of civilians and constitutes a war crime,” the Britain-based rights group said in a statement on Tuesday. 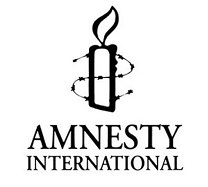 Amnesty also called for an independent investigation to bring the perpetrators to justice. Gunfire erupted when a group of armed men stormed the building of CARE International following a car bomb explosion. At least one civilian was killed and six others wounded in the incident in Shar-e-Naw district of Kabul on Tuesday. Three armed men who had launched the offensive were also gunned down by Afghan security forces. According to Afghan officials, some 42 people were rescued from the building, including 10 foreigners. The area is home to several guest houses. Many foreigners and diplomats live there. No group has claimed responsibility for the attack, the fifth to hit the Afghan capital in 24 hours. On Monday, twin bomb explosions claimed by the Taliban militant group hit a busy part of Kabul close to the Afghan Defense Ministry building. Officials say nearly three dozen people were killed and over 100 others wounded. Taliban have regrouped since the death of former leader, Mullah Akhtar Mansour, earlier in the year and are reported to be currently in control of some areas in Afghanistan. Fierce fighting continues between the Afghan army and the militants across the country, notably in the southern province of Helmand and in the vicinity of the northern city of Kunduz. It is all criminal actions to be condemned all across the board- the amnesty international highly-paid official are enjoying most of their life on sick-leave absence. You hear loud “cries” only when the boss summon and force them into- no way you could wake them up otherwise.